That quote gets me every time. While aloe in dental products isn’t super common yet (but you would be surprised! ), you can never be too safe. I’ve spotted it in mouthwash, toothpaste and yes, dental floss. Oral hygiene is critical, so floss daily with these winners. I would not gift a dental hygienist floss like the product name suggests because it would guarantee you receive only the worst gifts for the rest of time. It’s like buying a circus clown another red nose for their birthday- I think they have enough! I would, however, ask your dental hygienist if they like Doctors Floss and then buy some for yourself. Up-cycling Queens and Kings- the metal container can be washed and re-used for pills, secrets and candles. My personal favorite! 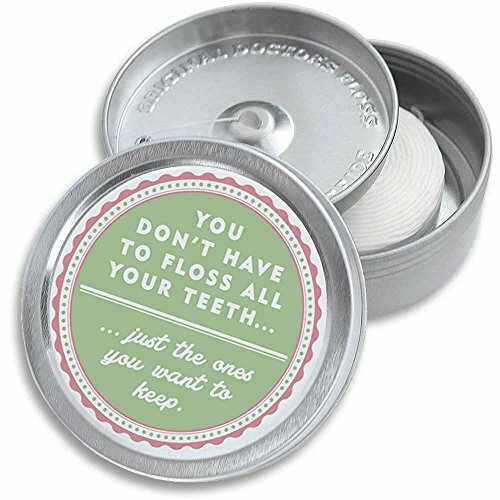 Cocofloss is unlike any other floss you’ve ever used. It has a spongey texture to it which sounds weird but actually feels like putting your teeth through the spa. It’s very soft and glides oh-so-smoothly. I swear, it feels like a loofah giving your gums a hug. Their packaging is fancy and the flavors are subtle enough to enjoy while flossing but don’t leave a weird aftertaste in your mouth. Flavor adventurists- they have so many! Mint, watermelon, coconut, orange.. 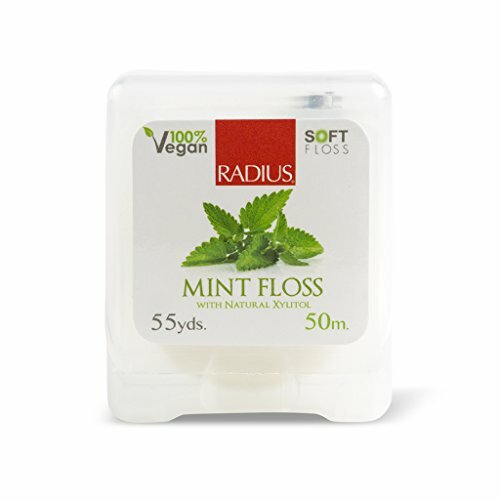 If you like to hear your floss scrub your gums squeaky clean, Radius is for you. It’s slippery texture gets in between your teeth and out fast, all while leaving you with a minty pick-me-up. Commonly found in health food and specialty stores, I buy this when in a floss emergency. 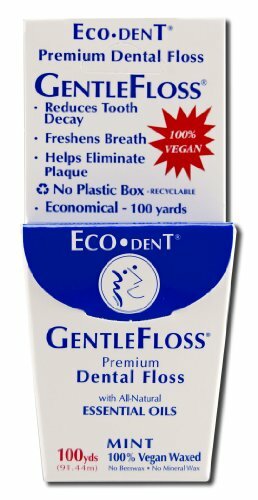 A mainstay in vegan oral health, Eco-Dent has been around forever. It used to be impossible to find a natural, waxed floss without nasties. With jojoba oil and peppermint oil, to name a few, you’re left with fresh teeth à la post-dentist. Environmentalists- the box is recyclable, yay? Don’t be scared off by Dr. Ginger’s professed love for Aloe Vera- you won’t find it in any of her flosses. 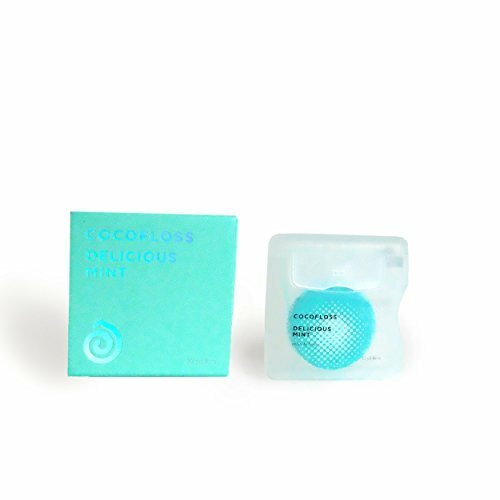 Her expanding floss only contains polyester infused with coconut oil and xylitol, while her coconut, xylitol and white charcoal floss is made of nylon infused with coconut oil, xylitol, and white charcoal. Simple as can be! 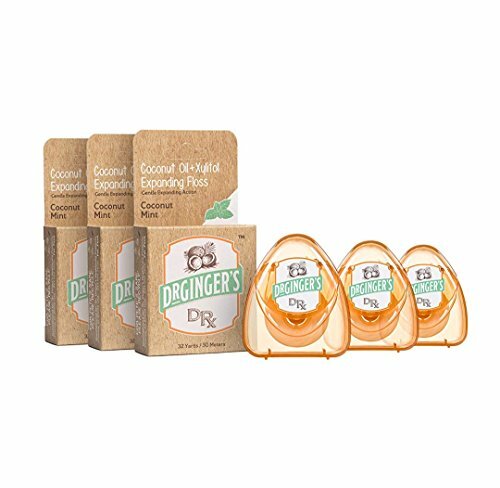 Coconut oil is a fan-favorite of oil-pullers (people who swish coconut oil around in their mouth for 20 minutes and spit it out to get rid of bad bacteria) so it’s great to see a dental line that revolves around it’s benefits.